If you operate a business that sells or rents out different kinds of equipment, one of the most important business forms that you should have is an equipment lease request form. 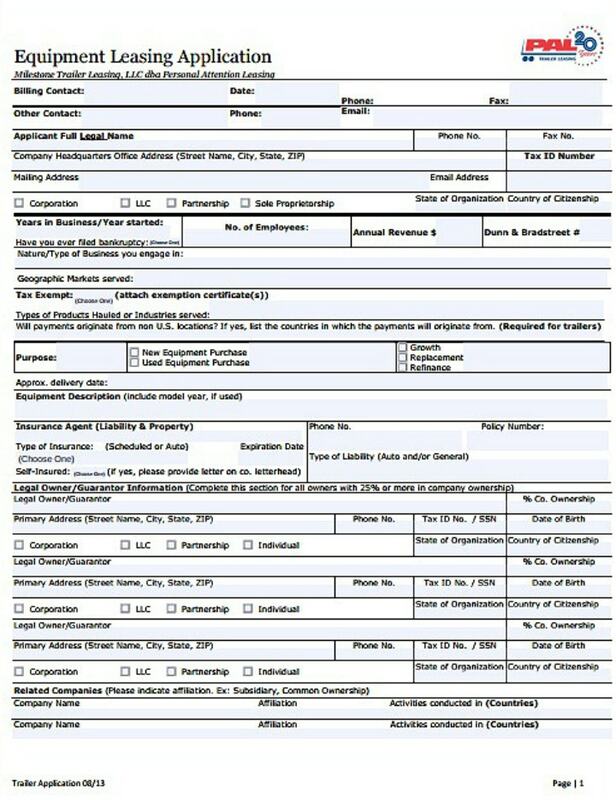 In this article, we will teach you how to create or redesign these forms and we will also provide examples of these business form templates that you can base your own forms from. So if you want to learn all these things and a lot more, make sure to read until the very end of this article. Also, note that all the sample equipment lease request form templates in this article are available as PDF template files. You will need to have Adobe Acrobat Reader or any similar software tool installed on your computer before you can open and edit the template on your end. What is an Equipment Lease Request Form? The term ‘equipment lease request form’ is pretty self-explanatory. But for those who are not familiar with it, here is a brief description. 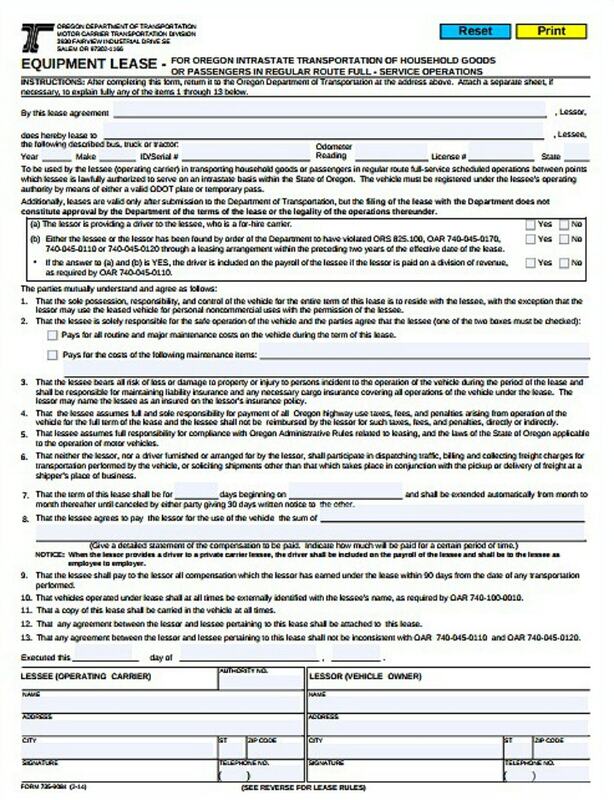 An equipment lease request form is a document that details the terms of how a piece of equipment can be used by another person or group of people who are not the owners of that equipment. 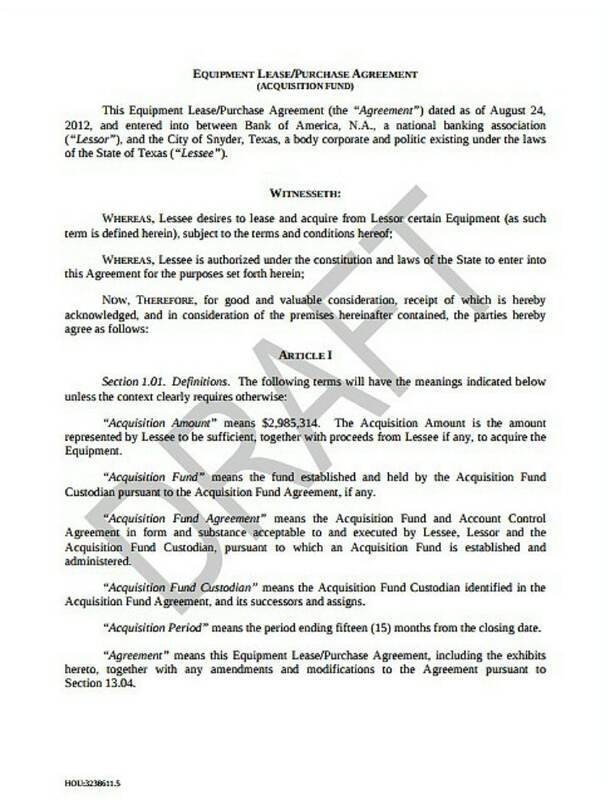 In most cases, an equipment lease request form can be a binding contract between two parties. 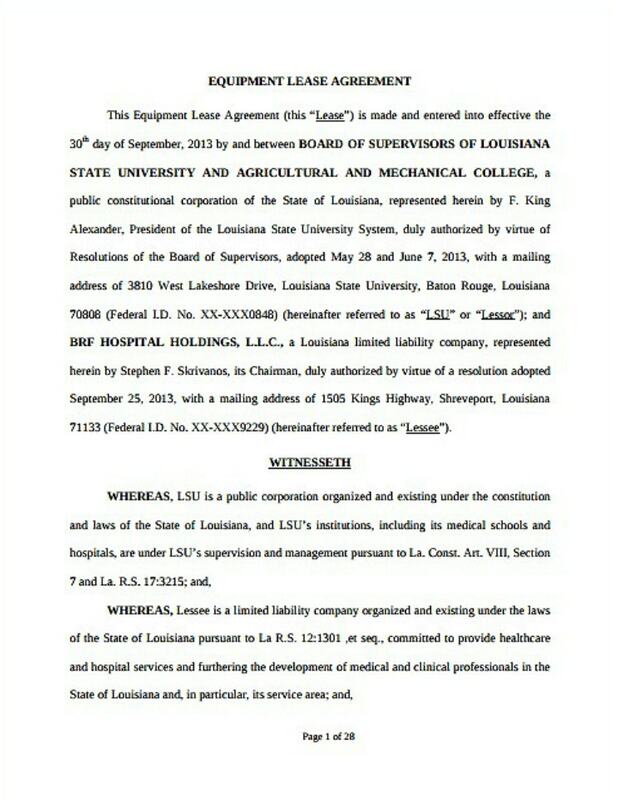 The owner of the equipment may also be paid for the other person’s usage of his or her equipment. You may also see sample lease templates. Examples of businesses that may routinely use equipment lease request forms are hardware stores, heavy machinery stores, office equipment businesses, lights and sound stages firms, and a lot more. So if you are in the business of renting out various equipment, tools, or devices to different people or organizations, it would greatly benefit your business if you create a standardized equipment lease request form. Take a look at all the sample equipment request forms embedded within this article and you will have an idea on how to streamline the equipment leasing application process that your business follows. If you are tasked with creating or redesigning an equipment lease request form, make sure that you read the next few paragraphs as we will detail how to process of creating your own request form. You may also see sample lease proposal templates. 1. Create a list of all the pieces of information you need to have on the equipment lease request form. The first step in creating an equipment lease request form is to make a list of all the pieces of information that you need to know on your form. For instance, you may need to know the lessee’s name, address, the affiliated company, name of equipment, type of equipment, term of lease, equipment purchase price, contract price, contact information, projected use of equipment, and a lot more. This short list is only an example. The amount of data that you may need to put it in order to create an equipment lease request form will vary depending on the type of business you are operating and the terms of your lease agreement. 2. Determine the paper size or format you want to follow and create a rough draft of the form. Now that you have all the data needed to create an equipment lease request form, it is time to create a rough draft or outline. At this time, you may also decide on the size and format of the equipment release form you wish to create. By doing this, you will have an idea of what the final form will look like and you can make modifications if you truly do not like how the form looks. 3. 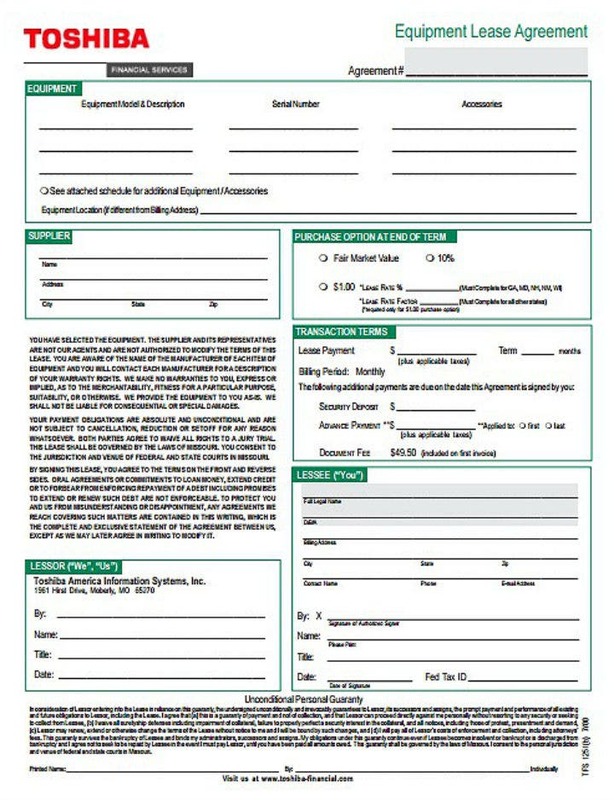 Choose a pre-made equipment lease request form template. After gathering all pertinent data and after creating a rough draft, it is time for you to choose a pre-made equipment lease request form template. You will use this pre-formatted template as the base template and you will pattern your lease request form from this. You may choose any of the downloadable form templates that we have included in this article. Or, you may also search for other existing forms available online or offline. 4. Have a compatible software program installed on your computer. Once you have chosen a pre-made equipment lease request form, you should also make sure that you have a compatible word processing or graphic design software program installed on your computer to allow you to open and edit the template yourself. 5. Open the template file and start editing. 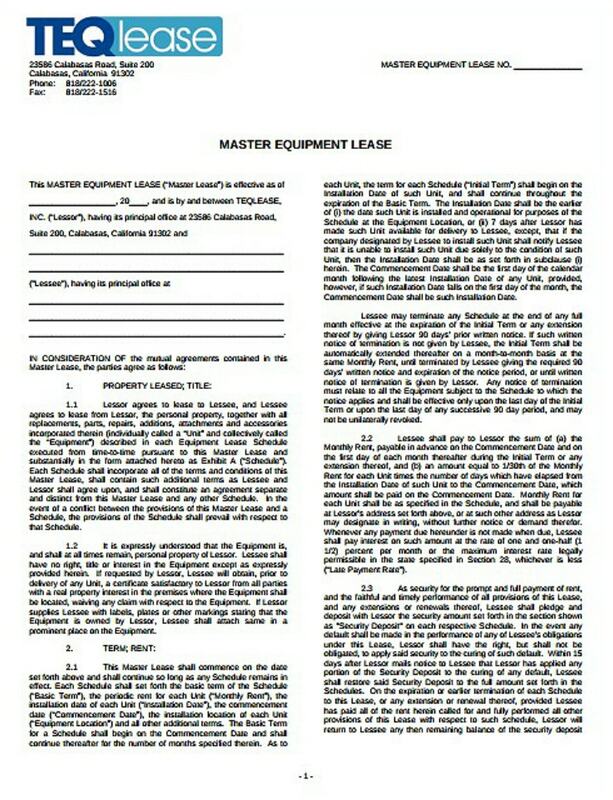 The next step is to start editing the equipment lease request form template. As an option, you may delegate this task to a subordinate, another employee, or another professional template editor. It is at this time that you can type all the pieces of information that you have gathered earlier during Step 1. Equipment lease request forms usually are single page documents so it will not take a long time to type and condense all those pieces of information. 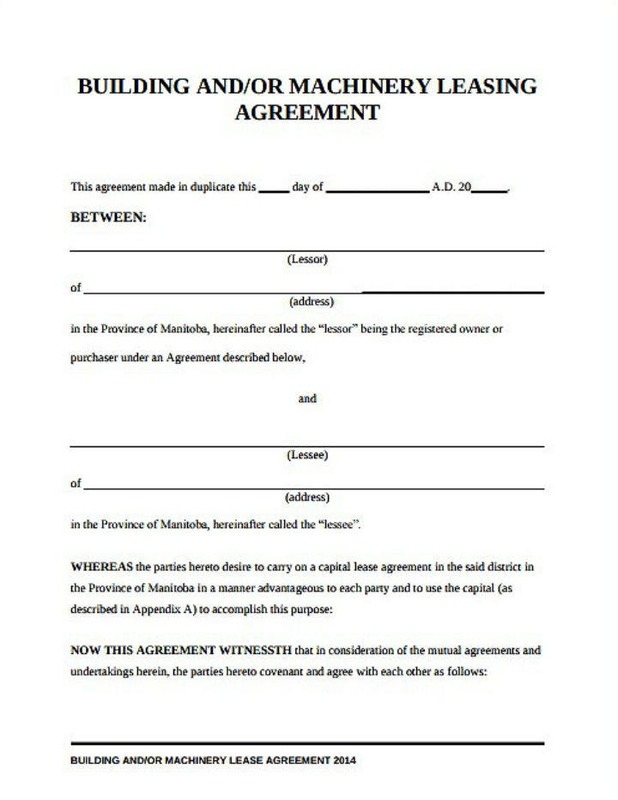 You may also see printable lease contract forms. 6. Type or replace all text boxes and placeholders with the data you have collected during step one. So if you have chosen to use a pre-made equipment lease request form template, you may just need to replace all the pre-formatted text boxes and image placeholders with your own company’s data. This approach is easier if you have limited time intended for creating your equipment form templates. 7. Add your business identity designs. Aside from the usual list of questions that a regular equipment form requires, it is also a good idea to add your company’s branding identity designs. Remember that any form or printed documents that your company uses can be an opportunity to showcase your business brand image. This can simply be done by adding your business or company logo, your trademarks, and other brand-identifying markers. 8. Review the template. And make the necessary changes. After making all the edits and modifications to your equipment lease request form template, it is now time to proofread and review it for issues of grammar, spelling, formatting, etc. Remember to have another person who was not involved in the creation of the equipment lease request form do the evaluation. This allows him or her to look at the template with a fresh set of eyes. And if any mistakes, typos, or erroneous claims (after conducting a fact-check) are found, you should then make all the necessary corrections. You may also see check request forms. 9. Print out the template. 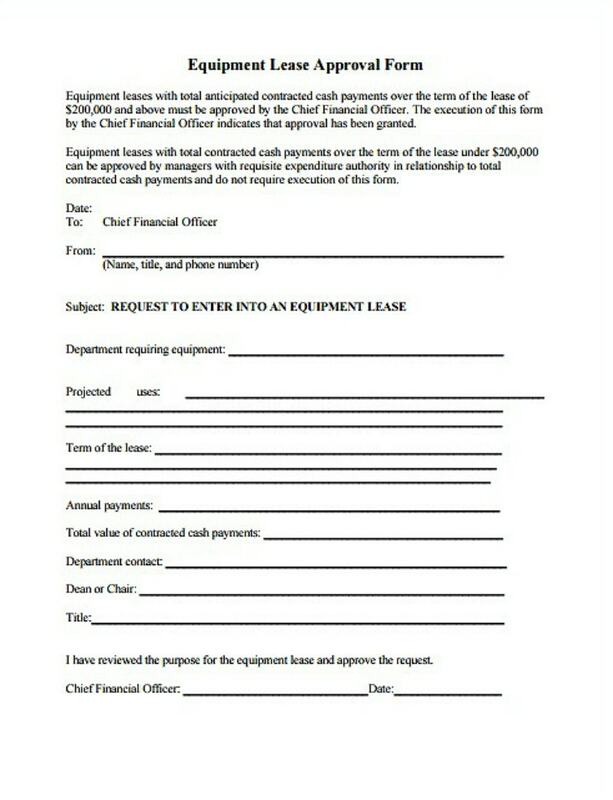 After making all the changes to the pre-made equipment lease request form template, it is time to print out the template. 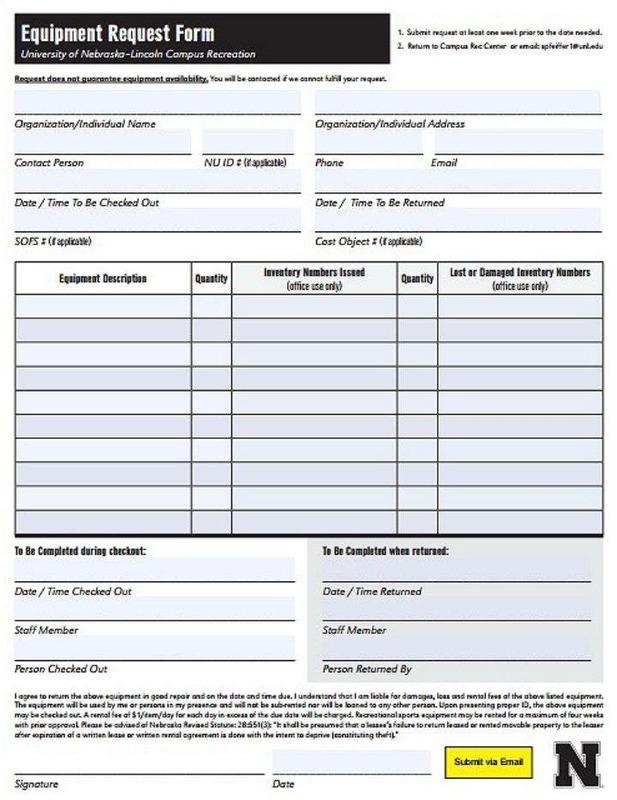 Some companies often use the services of professional print shops while others will just print out their own form templates using commercial office printers. Whatever printing method you choose, just make sure that the equipment forms still retain the same quality. You may also see holiday request forms. If you want your lease request forms to appear more professional and luxurious, you may opt to print them out on cardstock or thick specialty paper. But note that this approach may cost you more in the long run. You may also see examples of different paper templates in this linked article. 10. Distribute to all printed forms to all your business branches or outlets. Congratulations! You now have printed all your equipment lease request forms! 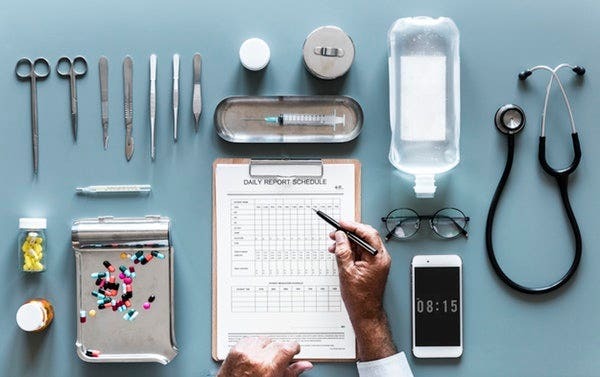 The last step should be to devise a form distribution plan if your company have many branches or outlets that will use the equipment request form. An option will be to just send out digital copies of the template and each branch can print them out on their own. But, if you are just using the equipment request forms within your department, you will definitely be using all those printed out copies. And that’s a wrap! Make sure to take note of each step in this short guide on how to create your own equipment lease request form. This way you will be better prepared for any issues or complications that may arise during your form creation process. And if you wish to read and learn more about different kinds of business forms, do not hesitate to check out the rest of our website. Are You Ready to Create Your Own Equipment Lease Request Form Templates? There are different kinds of lease forms. And in this article, we have only discussed one type, the equipment lease request form. So if you are thinking of various ways to help streamline your company processes, you should make sure to create and use a form solely for all the lease requests and lease agreements that you handle. Use the detailed step by step guide (posted above) on how to create this kind of lease request form and you will surely have a fun and enjoyable time. Also, do not forget to bookmark this article so that you can refer back to it in the future. And if you think you have friends and colleagues who will benefit from this article on equipment lease request forms, feel free to share and post this on social media.